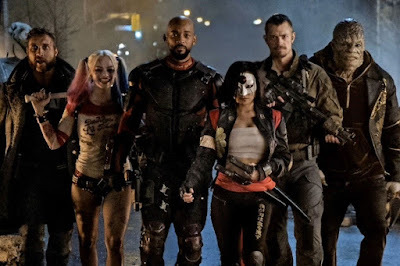 Ever since the movie was announced, I have been excited to see Suicide Squad. I thought this was a genius move to expand the universe. DC has some of the greatest bad guys, and their biggest competition, Marvel, pales in comparison to their rogues gallery. So why not have an entire movie based around the bad guys? 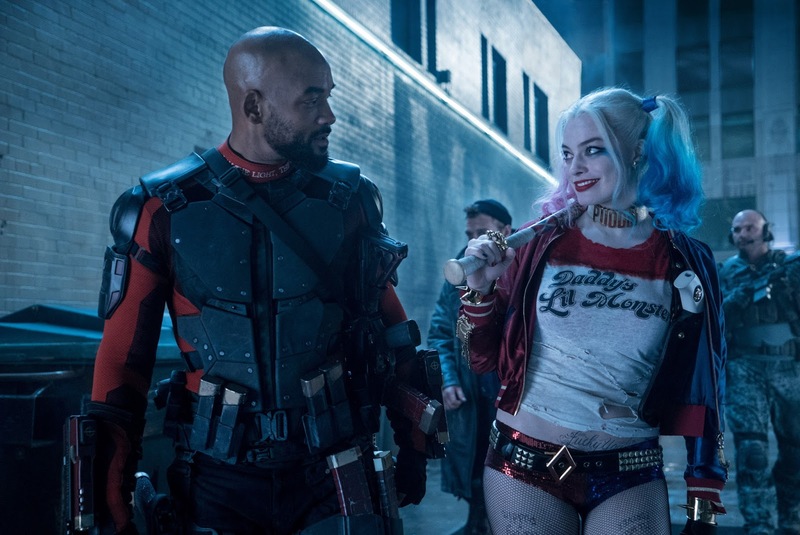 But while Suicide Squad tried to squeeze past the cracks as a smaller film, the overall disappointment of Batman v. Superman: Dawn of Justice put a giant spotlight on this movie, and immense pressure. 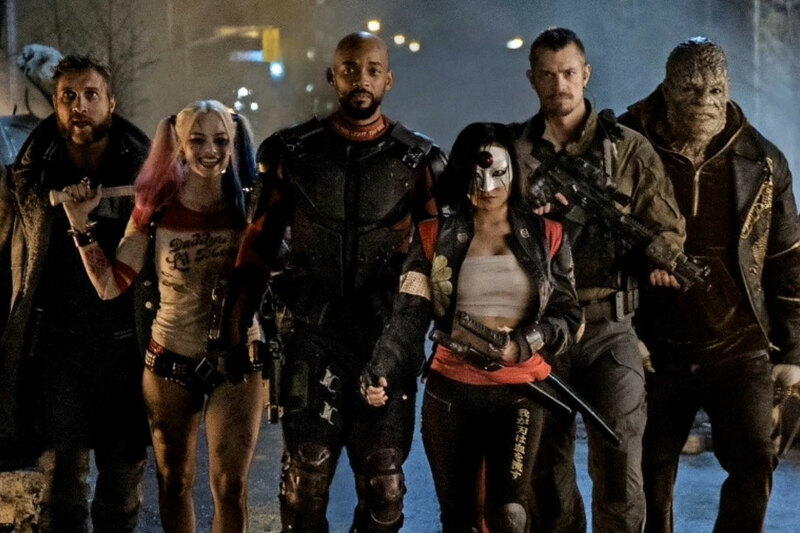 Suicide Squad has to succeed! For director David Ayer, that must have been incredibly frustrating. 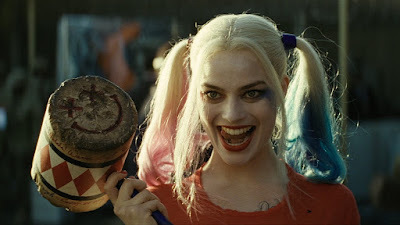 But regardless, a lot now hangs on Suicide Squad for it to be a success. In short, it isn't. 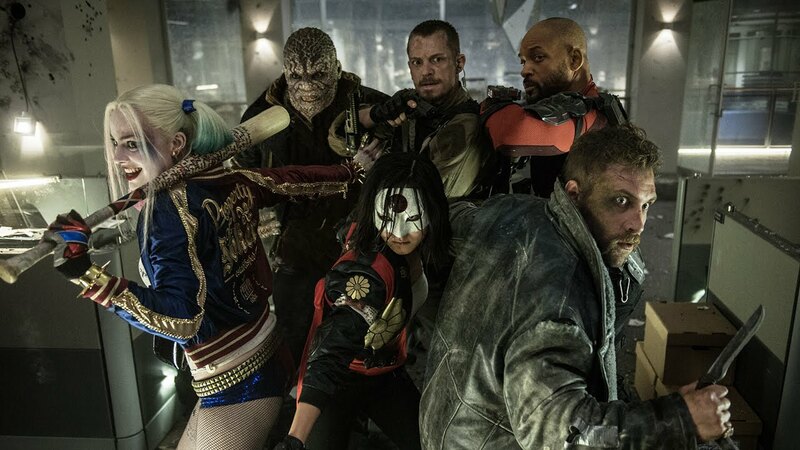 Suicide Squad is a complete mess of a film, and misses almost every mark except its casting. In the wake of the death of Superman, Amanda Waller (Viola Davis) assembles Task Force X, a group of bad guys who are to be used in order to take out even worse threats. So when the Enchantress (Cara Delevingne) breaks loose and begins to wreck havoc, the worst of the worst must unite in order to take her down. The casting for this movie was perfect. Will Smith owns it as Deadshot, and adds a lot of character and humanity that may not necessarily be there in the comics. We sympathize with him, and Smith overall just gives a good performance. Margot Robbie kills it as Harley Quinn, and entirely embodies the character. She is probably the best-cast person in this film, and she fully deserves to have her own film. 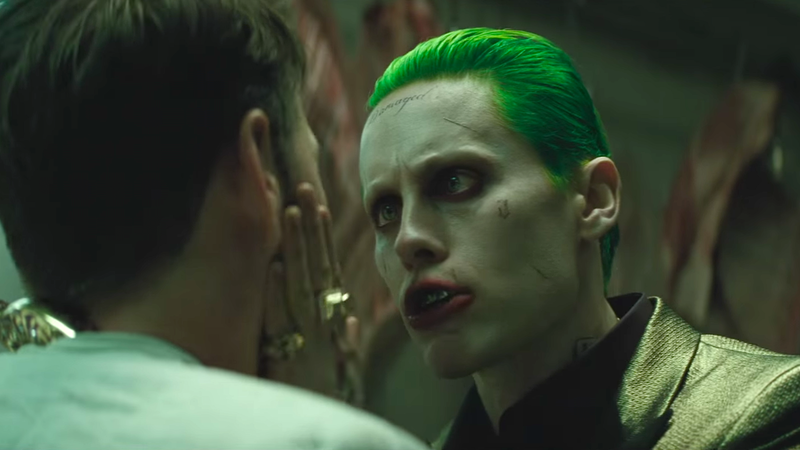 Everyone was wondering going in how Jared Leto would do as the Joker. In short, he's no Heath Ledger but he gives a really good and unique interpretation of the character. We don't see a ton of him in the movie, but from what we got I like what I see. They built the character so that he can sustain being in several films. The other characters, such as Rick Flag (Joel Kinnaman), Diablo (Jay Hernandez), Katana (Karen Fukuhara) and Killer Croc (Adewala Akinnuoye-Agbaje) were all fine in their roles, but didn't have much to do. However, Jai Courntey as Captain Boomerang really surprised me, along with Viola Davis as Amanda Waller. And I will say that this movie is entertaining. With Batman v. Superman, it was a lot of standing around and talking, and I didn't find myself entertained. Suicide Squad is definitely entertaining. There's a lot of fun and a lot of jokes. So, if nothing else, it has that going for it. In comparison, I will say that Batman v. Superman is the better movie, while Suicide Squad is the more entertaining one. You can have fun with this film, which is something I don't think I can necessarily say about Batman v. Superman. The problem with this movie is that the story is an absolute train-wreck. It starts off really good by introducing us to each of the members of the Suicide Squad, but as soon as the main plot took motion, it all went downhill. The mission Task Force X has to go on is stupid, and doesn't have much value. And once they go on this mission, the film is rendered incomprehensible. The editing for this movie is absolutely horrendous. Flashback scenes are just thrown in random spots that kill the momentum. Shots are edited together that have big lags in continuity. It's edited in a way where you're confused about where people are in a certain space, as it keeps jumping around everywhere. As a flowing narrative, this movie just does not work at all. This movie thinks it has a lot of weight and power to its emotional scenes, but it has none of that. There's just too much going on at once and too much crammed into this film for there to be any power in its punches. The action also didn't do it for me. The problem is that the main threat of this film was so powerful that none of the Suicide Squad members were nearly equipped to fight it. The best fighter was Deadshot, who fires bullets, and the team's opponent is an all-powerful witch who can control everything? It was completely mismatched. The team needed a much more street-level and grounded villain to fight that would suit their abilities far better. So because of this mismatch, all the action is the team shooting and punching mindless henchmen. It wasn't even well executed. The action scenes were poorly edited together, and I could never get into it. That's the main problem with the movie: anytime I was getting into it, the editing would screw it up and I'd be thrown out of the film. The first act is solid. The second act is eh. And the third act just falls apart. The dialogue is horrible. Things are happening where you have no idea what the hell is going on. It just degrades into a complete sh*tstorm. Suicide Squad also tries to echo Guardians of the Galaxy with its song selection, but they completely loose the subtlety. Guardians infused the songs not just into the fabric of the film, but into the story as well, so they had more importance. With Suicide Squad, there is literally a new song for every new scene, and it gets really old really quick. In the first five minutes of the movie we already had three songs. At some points, this feels like a music video. The song choices completely overpower the film and continuously took me out of the movie. There were songs playing in scenes that would definitely have benefited from having a regular soundtrack. It was just way too much, and the song choices didn't even really fit with the scenes. It was as if an editor just filled in the movie with a playlist on his iPod. They go from Black Sabbath to The White Stripes to Eminem... it just doesn't fit. Had they picked a select few songs, it would have worked. "Bohemian Rhapsody" from the trailers actually worked, and they should have used those kinds of songs to integrate. But instead we're barraged by a ton of songs that don't fit into the film. Overall, Suicide Squad is not a good movie. The narrative doesn't work. The plot is stupid, and pointless. Revelations made in the film don't make sense, and a lot of parts of the film are left unexplained. Will Smith and Margot Robbie steal this movie with their excellent portrayals of Deadshot and Harley Quinn, respectively. Jared Leto also turns in a very respectable performance as the Joker, even if he wasn't in a lot of it. The rest of the cast give good performances, but they don't much to do. Killer Croc doesn't do anything except stand in the background out of focus and hiss. The editing is so abhorrent that the movie was actually hurting my head by the end. It is very haphazardly put together. I will say, though, that the movie's placement in the larger DC Universe made sense, and I appreciated that. You'll see what I mean when you watch the film. However, in the end, Suicide Squad is a completely missed opportunity. It sh*ts the bed, and does not bode well for the future of DC movies. What do you think? Have you seen Suicide Squad? Did you like the film? Leave your (spoiler-free) thoughts in the comments section below.